Part III Submission Fee series - Should you Pay Venues or Booking Agents to listen to your music? Do Booking Agents and Venues actually listen to your music before booking you at their club? It’s a fairly well-known secret in the music industry that venues and clubs don’t really care what your music sounds like, just so long as you can pack the place. Venues are not so much in the “music” business as they are in the “drinking” business. For this reason, you should never consider paying a “fee” to be heard by a venue. They already make money off you when they book your show, at the door and at the bar. And again, if you can pack the place while banging on a plastic bucket, you get the gig. Venues aren’t going to evaluate your band by the music - just by the numbers. If you don’t have any numbers, then they’ll go by your word. If you don’t live up to your word, you don’t play there again. Pure and simple. Same goes for Booking Agents. It’s pointless to submit your music to a booking agent. A booking agent cares about numbers, nothing else. It’s a stretch to say agents are anything more than your average music fan - a person who listens to music, has favorite bands, etc, but has no financial stake in the music itself. 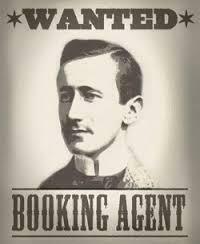 Rather, the booking agent earns a living based on what other people think of the music. How about Festivals and Promoters? Festivals and promoters usually enter into a one-off deals with artists. They evaluate and analyze your band on a multitude of artistic and practical criteria: your sound, your image, your fans, your availability. This “evaluation” takes time & resources - and it’s only fair the Festival or Promoter should cover costs. Bands understand this, and most artists are perfectly willing to part with the application fee for the chance to be heard and booked to a festival slot. SonicBids and ReverbNation are the two biggest players for submitting your music to festivals. Many festivals will use one or the other as the exclusive vendor for band submissions. If you’re trying to get into a particular festival, you’ll definitely want to check with both companies to see which one is the vendor for the festival.